I had no idea what this word meant when I first heard it, but after a little bit of research, I realized this age-old recipe is much more familiar than I thought. Oxymel – from the Latin oxymeli meaning “acid and honey” has been made and used in many ways throughout the ages and it’s a recipe that can be adapted to suit your health and herbal needs. Traditionally, an Oxymel recipe would be used to administer herbs that might not be so pleasant to take on their own. 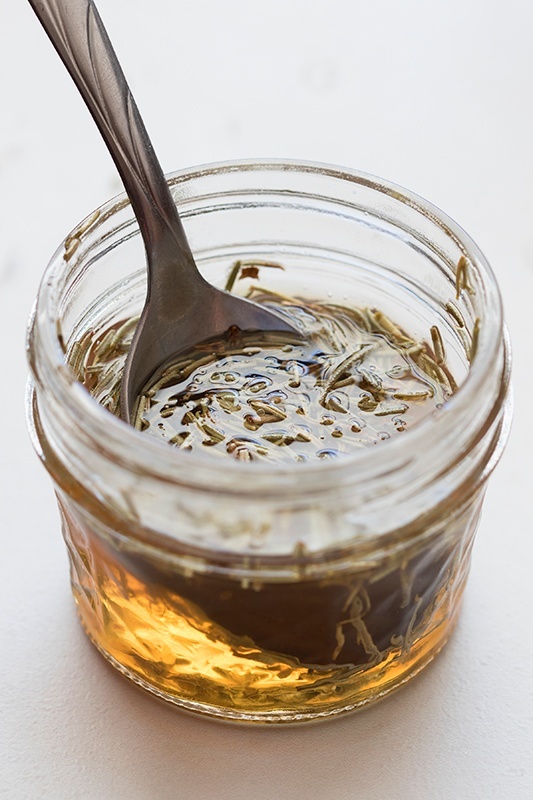 Additionally, some of the more pleasant herbs can become even more delightful after a bath in honey and vinegar! After you try your hand at making an Oxymel, you might find that it will go nicely in some bubbly water on a warm day, on top of freshly-made pancakes, on a bed of fresh greens from your garden, by itself, or with some warm water to help keep your spirits and throat happy during times of stress. 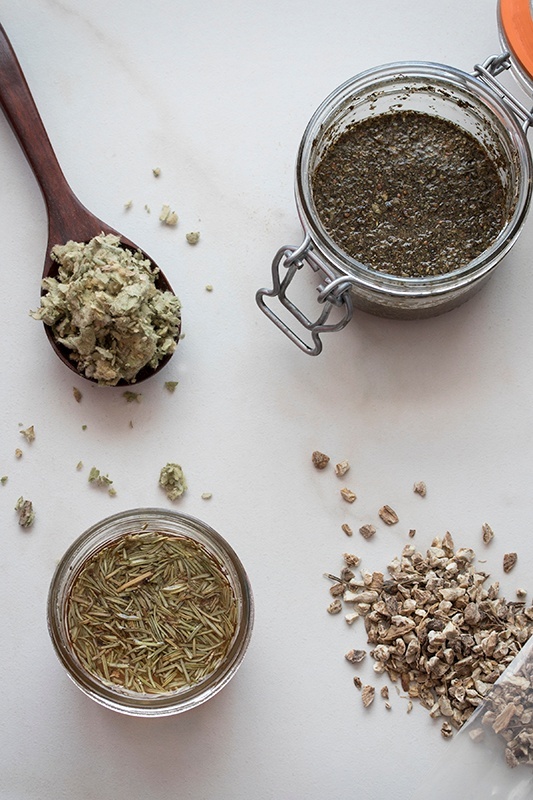 You can change the combination of herbs to aid you in whichever way you like. I hope this guide helps you find a version that suits you! There are a few ways you can prepare an Oxymel: I've outlined the two ways I've used and one additional option, which, I have not tried, but certainly will in the future. Generally speaking, you want a ratio of 1:3 - 1:4. That is to say 1 part dried herb to 3 or 4 parts vinegar and honey. 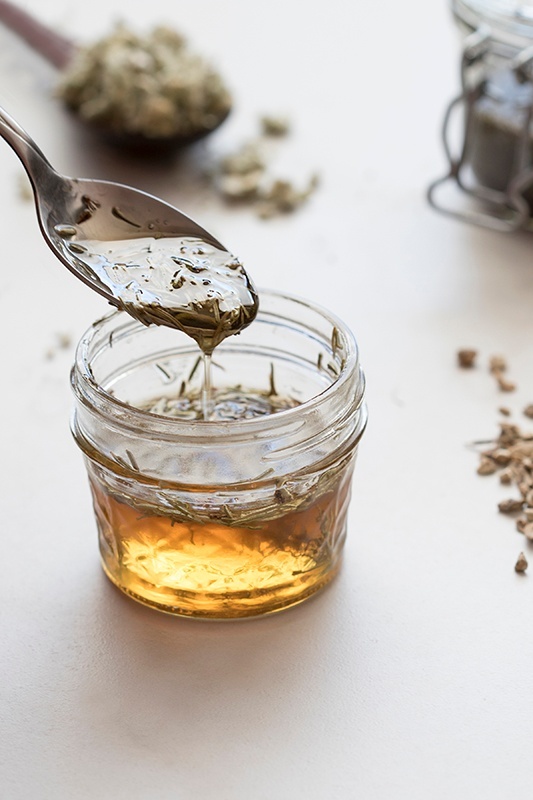 You can easily measure by filling a pint jar less than 1/4 of the way with herbs and then topping with equal parts honey and equal parts vinegar. I've noticed the older techniques prefer more honey, up to 5 parts honey to 1 parts vinegar, and the newer recipes call for more apple cider vinegar, as much as 3 parts vinegar to one part honey. I prefer half and half. You can find a ratio that suits you! For storage, I prefer a glass jar with a cork top, like the ones found here. Good method for a variety of herbs! Place desired herbs into pint jar (1/4 - 1/5 of the way full), cover with apple cider vinegar and honey. You can stir before sealing the jar, or seal the jar and shake until well mixed. Now let your jar sit somewhere cool and dark and shake a couple of times a week. After two weeks, strain and pour into a glass jar for storage. Great for non-delicate herbs and hearty roots! If you're in a pinch and need an Oxymel quickly, you can always experiment with a vinegar reduction. 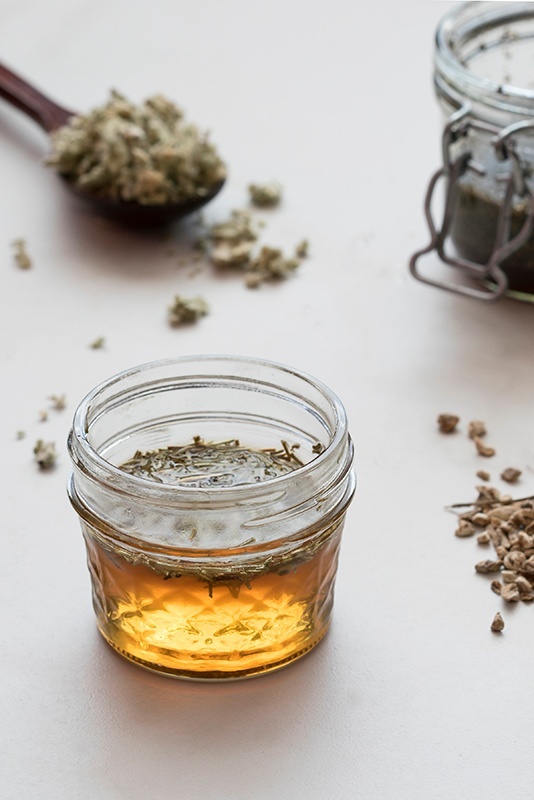 I would not use this method for especially aromatic or floral herbs, as it may be too harsh of an extraction process with heat causing the aromatics to dissipate. In my recipe, it worked well, bringing out the aroma of all herbs perfectly evenly! Apple cider vinegar steam can be very intense, so be careful not to put your face and eyes over the pot while it is simmering (it will not feel good if you do!) You will want to use twice as much vinegar as you need in the end, since this is a reduction and you will lose half of it in the process to evaporation. Reduce for 30-40 minutes on low heat. Once you are done, let cool and strain, mix herbal decocted vinegar with equal parts honey until well mixed and store in an airtight bottle. Nice option for especially delicate herbs. This is a very easy way to make an Oxymel if you already have infused honey and infused apple cider vinegar, or one or the other. If you have previously infused apple cider vinegar or honey you simply get to mix them together using a ratio that suits you and enjoy! If you regularly cook with herbal infused honeys and vinegars and have some of your favorites sitting around, this can be a great way to turn your culinary spice into a soothing treat! Learn More About Herbal Infused Honey. Click here to learn more about how to make Vinegar Infusions. Raw apple cider vinegar is a great way to make an alcohol-free extract. Local Honey – I like wildflower honey. I can’t help but get excited about the thought of all of the hard-working bees blending together the pollen of hundreds of flowers. I appreciate the different taste nuances I get depending on valley and season. If you want something more consistent and neutral, try a clover honey. This blog was originally published in 2014. Because it's so popular, we decided to update it for you. Enjoy! 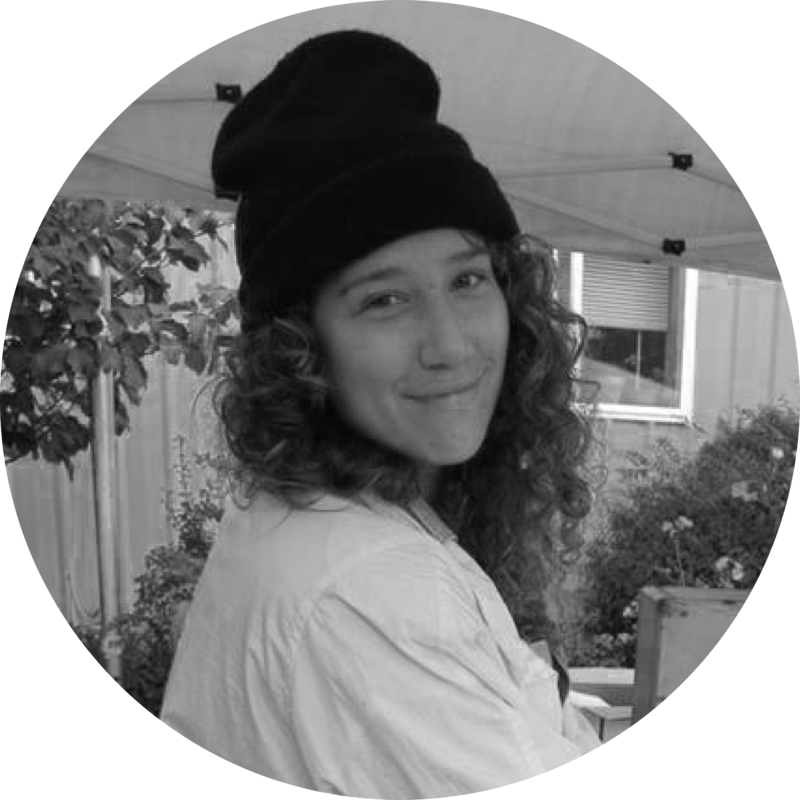 Alieta, blog contributor, is an Oregon native with a two-year certificate from the Columbines School of Botanical Studies. Her other professional accreditations include: a degree in Computer Science at Oregon State University, a degree in Philosophy, Spanish, and Graphic Design from Portland State University, a scuba diving certification, and non-violent communication training. She enjoys spending her free time hiking in the woods with her Labradoodle, Pepperoni, or enjoying the view from her garden with her cat and a bubbly beverage. And winning the local Eugene hackathon!